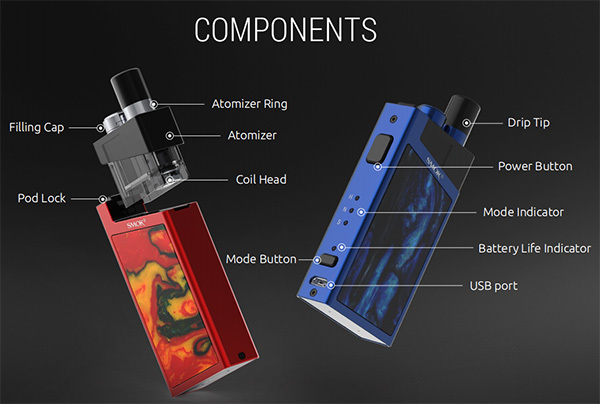 The shape of SMOK Trinity Alpha Pod Kit is very like the Lostvape Orion and Orion Q. But it will be more affordable. 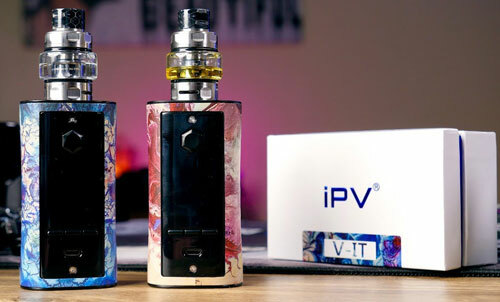 SMOK Trinity Alpha Pod Kit Price: $29.99. .
Smok released another brand new pod kit - Trinity Alpha, after the success of Infinix, Novo, Nord and etc. 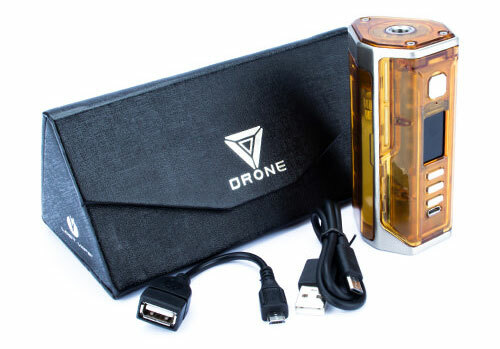 You can find it was very smilar to Lost Vape Orion Series from the above pics show. 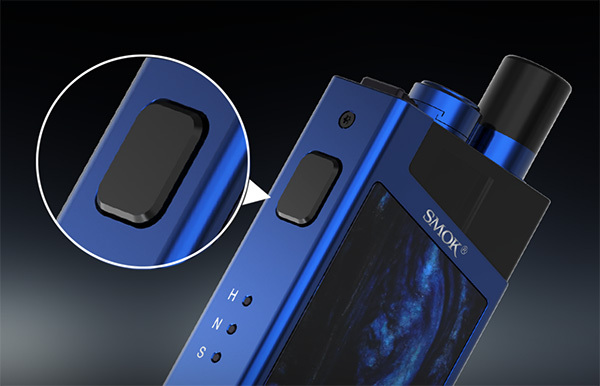 Trinity Alpha, the new open pod system by SMOK, is in the shape of square box featuring one 1000mAh internal battery and two Nord Mesh coils, boasting many novel features to deliver diversified vaping pleasures. 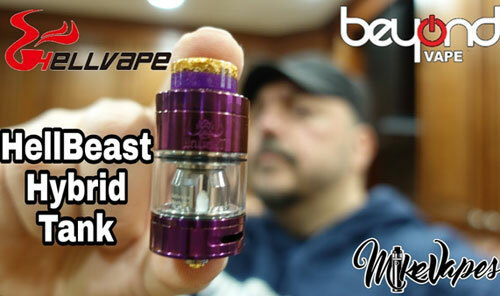 The colorful flowing resin streaks on both sides add a touch of radiance to the device which shows its meticulous attention to detail and a fine combination of vape and art. 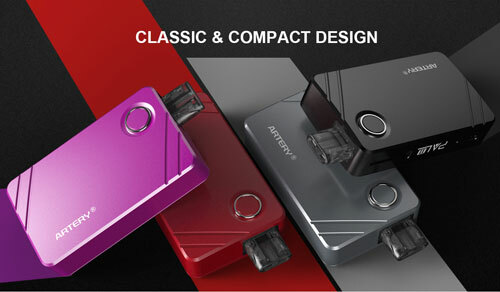 The device has implemented an ingenious output preference function-ality offering three power modes. 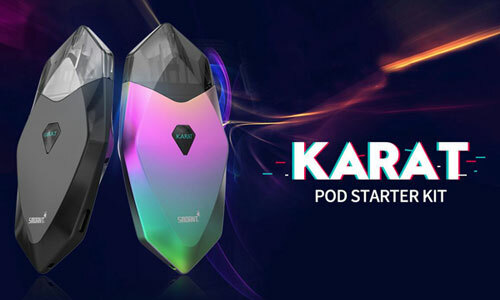 As for its pod, it adopts an ingenious push-up-type design on its filling cap to ensure everyday long-lasting vaping with a maximum e-liquid capacity of 2.8ml. 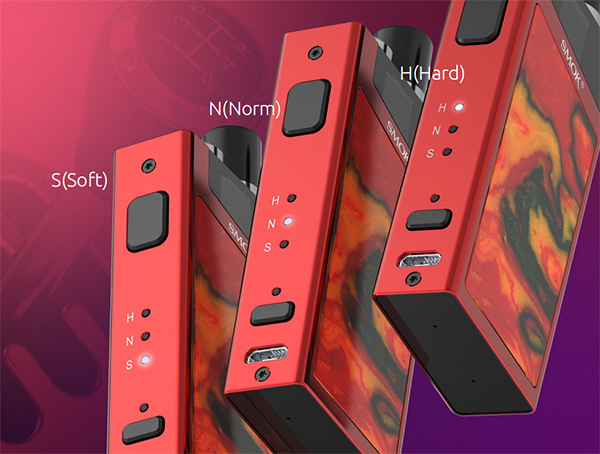 The power range of Trinity Alpha is between 15 watts and 25 watts, and it has three modes to satisfy different vaping demands --- S(Soft)/N(Norm)/H(Hard). You can switch to your desired power output mode by pressing the Mode Button, and meanwhile, the corresponding LED light will be on. 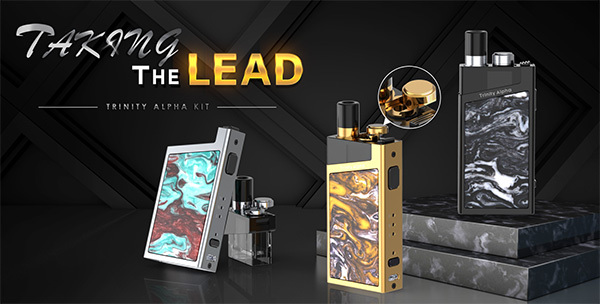 SMOK Trinity Alpha Pod System kit is an amazing option for users who looking for the quality performance in a small form factor. It's only $29.99: .